….there are 35 drawings in the set for our addition. While we choose not to crowd the sheets with information and instead create another sheet to keep it readable there is still a lot of information and still there are questions. Far less stress on the home owners. We created the documentation/authored the drawings and specifications. We know what they say. Protection for the investment and integrity of your project. And the biggest surprise…contrary to every owner’s budget worries and ideas about how they will save money… Clients that invest in the full service realized savings that exceed the professional fees paid and they end up with a better project and with a higher return on their investment. So, how does this play out when you are the professional? Who is looking out for me in all this? Yesterday the contractor came by the office to tell me the electrician was on his way to do a walk through with us at my own house. Marvin was in the city, so I met with the Contractor and Electrician and walked the site. After a quick introduction, the Electrician launched into questions after a quick glance at the drawings. Casual questions like, “you want to put a light here too?” or “you should really put another ___here,” all seem like good ideas from someone experienced in wiring homes. 1. Changes to the electrical can be costly. 2. Changes to the electrical after sheet rock is REALLY costly. I became anxious and overwhelmed. I took a deep breath and asked that we please pause and look at the drawings and walk room by room and if anything needs changed, we will discuss and note it on drawings the way I would for a client. I asked if he had the specifications for the appliances and the mechanical equipment and promised to get him any that were missing. Both the contractor and the electrician were very nice and said certainly, and then launched into a discussion about the Heating and Air conditioning requirements that were being revisited with the addition of the attic space followed by a discussion debating the placement of the electrical receptacles in the baseboard vs. the wall and I pointed to the detail that is clearly noted on the drawings. that I would prefer to stick with what is on the drawings. tells you, "he has the plans he can take it from here." that shrugs and say "it’s nothing," when you request or except an alternative to the plans and ask how much more that will be. “Nothing?” At what point is it “something?” Trust me on this. This is where it is critical to have meeting minutes, updated drawings and confirmation that there is no additional cost or rebate based on the conversation. As you are all aware by now, I do this for a living. I have been doing this a long time, and yet the emotions and the stress of being displaced coupled with the peppering of questions just may result in a change order that you will not hear about for a while. Our contractor has worked with us enough to know our expectations and he ended up helping me articulate what he knew Marvin would care about. If our contractor was not such a trusted colleague familiar with our standards, I am not sure how that meeting would have ended. At the end of the electricians work, I can see there there are only two things I see that need fixed. 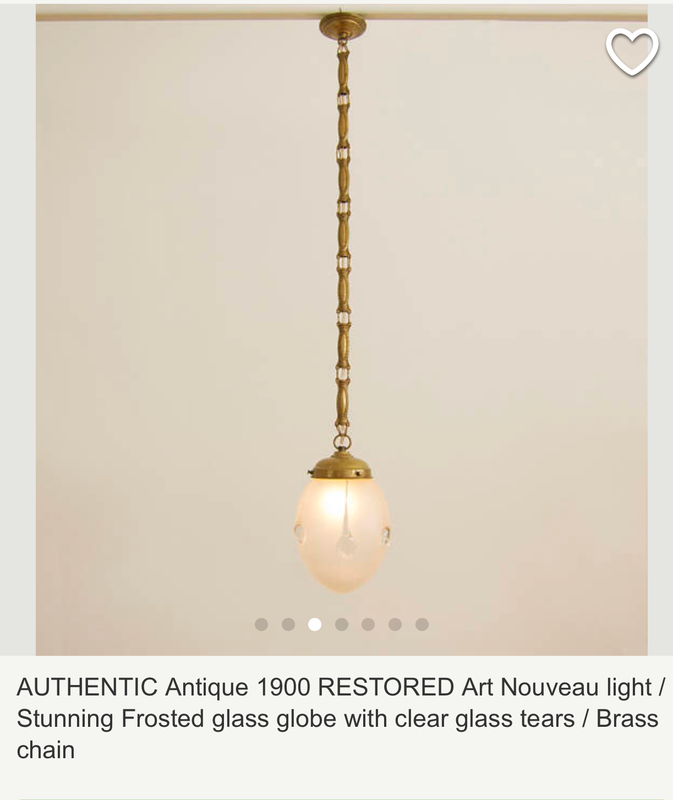 needs a recessed fixture...wire in but no light yet. Many times, clients opt for limited involvement, we see that different materials often of lesser quality substituted by the contractor. We wonder if there was a savings attached to that or if the client know they did not get what was in the construction documents. It is so painful to for us to watch. So, do yourselves a favor like the 7 Architect Clients that specialize in big beautiful skyscrapers and such, as well as our award winning engineers and contractors that have enlisted us for the professional level headed guidance that helped them define the scope and details see the project through to the end. We encourage clients not to skimp with limited service coupled with calling us on an on needed bases. It does not yield the best projects. You may not know you needed us until it is too late and it costs more to fix it. Please consider that in the end those that keep us on for full service reap the benefits. They have realized a savings that far exceeds our fees for being there. From negotiating with the building department on your behalf when all of the sudden they seem to think you need something that is not required to catching a framing issue before you find out that the washer and dryer are not going to fit. Weekly one hour meetings with all the stakeholders and follow up meeting minutes, will save you money and stress and result in beautiful project like the ones you liked on our social media pages. So what am I going to do now? I made a list of questions and concerns based on my meeting yesterday and talked to Marvin about being at the house on Monday morning when the electrician is ready to start we can clarify some concerns I have had since the meeting…and like I recommend to my clients. All stakeholders will be present in all meetings going forward. It is almost always a waste of time to meet independently. Someone will have more questions. I will share more as we move along on this journey of what might be akin to operating on yourself. 3. Third Floor as you learned has become a little more part of Phase I..
....lumber yards are in short supply...slight delay on delivery. 5. Cabinets Selected and order going in. 7. Counters selected and decorative lighting work in progress. 8. Eight weeks in--on the "fast schedule." Taking on a home remodeling project of any scale can be one of the most challenging, yet rewarding, experiences a homeowner will undertake. When you and your spouse own and operate an Architectural and Interiors firm as well as a Cabinetry dealership and you design, advise and advocate for others day in and day out, as well as think about your own house for over 20 years…you would think it would be easy as pie. With countless design choices, layers of dust and a revolving door of workers, just thinking about it can send even the most laid -back person to bed with a mind-numbing headache. 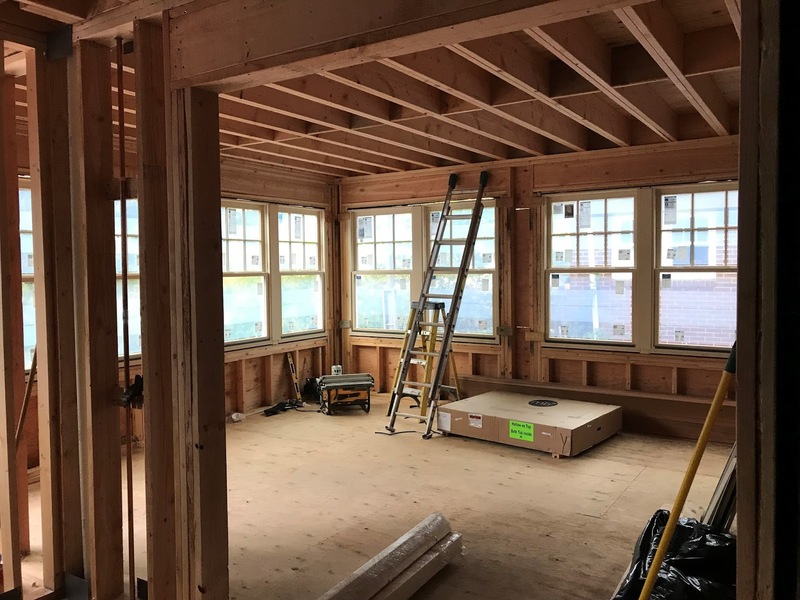 Whether it’s truly your blood, sweat and tears going into the remodel or just in theory letting professionals take the lead, there’s no doubt about it, home building, renovations, alterations and additions are complicated. The silver lining, however, is the sense of accomplishment and homeowner pride once the project is complete and your design dreams are realized. One of the best ways to keep stress at a manageable level is by working with a professional. 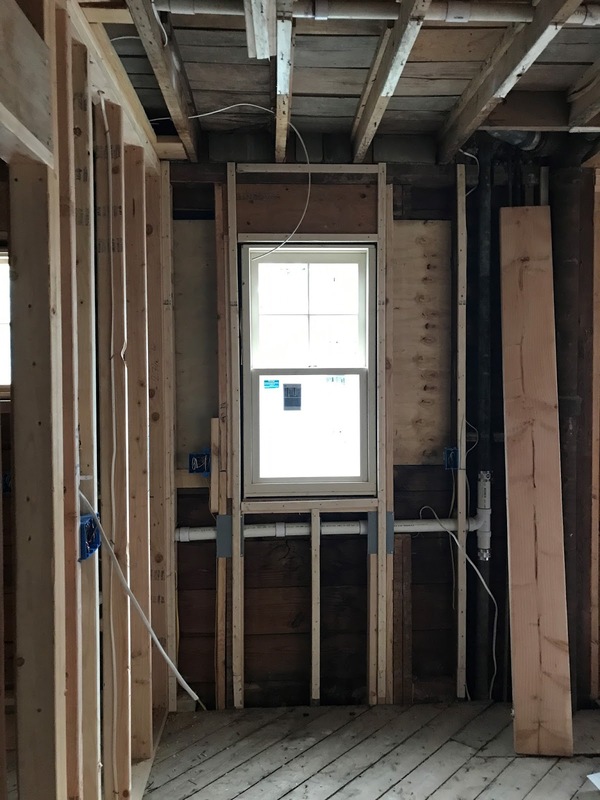 Working with a professional can make the remodel process much smoother by avoiding budget pitfalls, schedule delays and a crushed design dream. Having that professional by your side advising you is key. When you are creating your own home, there is pride and it becomes more emotional than you realize, you need an advocate to keep you moving toward the original goals, design intent and budget. The thing is, we are the professionals. Q- Who is our support system? Our advocates? Who is looking out for us? A- Our team of respected colleagues. They have been really supportive…and some giving us the knowing side eye look…when we somehow think we would be immune to the pain of this process. They are anxious too. They know how hard we work and are happy to see us doing this for ourselves and want to make sure they demonstrate their best for us. They have been just as responsive to our calls for us as they are for our clients. And for that we are so thankful. There is an old saying the Doctors mistakes are buried, Lawyers mistakes go to jail and Architects mistakes stand for everyone to see until the ivy covers them. So the dreams/nightmares are pride issues along with fear of regretting the choices we make. So below I have taken to addressing a few of these issues. Q- Will I have regrets? A- This is a major stress. My daughter reminds me that we waited 20 years to fix the kitchen and bathroom that were in need of renovations when we purchased the home. So, whatever we do, we are going to look at until we die. There will not be a “add it in the future”. The magnet put on the refrigerator by my kids about two years ago reads, “If we are lucky we might see the house completely renovated before we die.” With budget a factor it is challenging to decide what is of true importance. Emotions and desire get in the way or rational thinking. We don't want to regret spending foolishly on things and we don't want to regret not getting what we really want. Q- Will it be perfect? A- We know all the latest and greatest finishes and appliances. Clients—I feel you more now, more than ever. 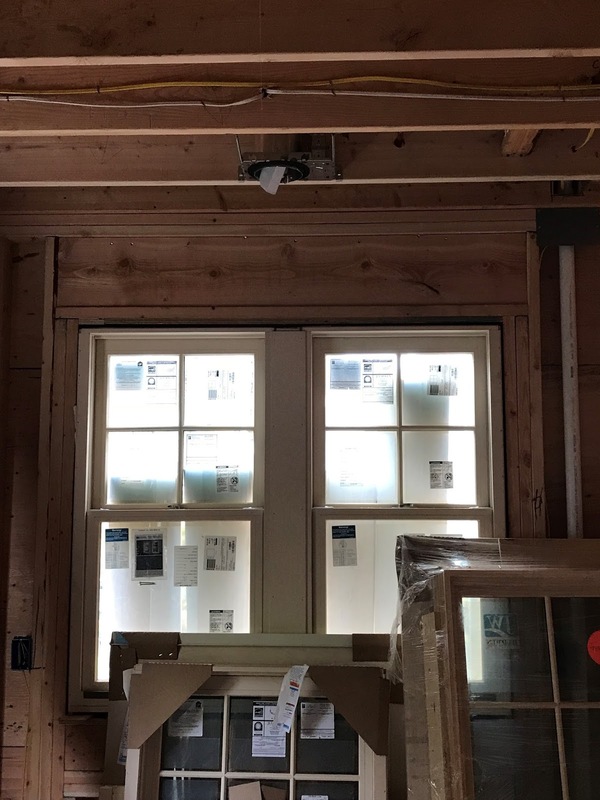 As we muse and fuss over the details of the cabinetry, counters and the trim on the exterior we are taking turns reassuring each other in the morning that the dreams/nightmares are just that and we are making logical choices….when if we are really honest, so much emotion is driving the decisions and then the dollars. I keep reminding myself that we have to make choices/sacrifices…just like everyone else. I remind myself that anything is better than what we had. In the end as much as we would like to have full control, sometimes things will just be what they are and most people won’t notice…I just hope that we won’t sit in the space and only see the “compromises” when it is complete. Q- Managing the peanut gallery the haters? A- Years ago, I read a “Dear Abby” type column where the wife complained that her husband the contractor would never finish their house. That there were all these unfinished projects. “Dear Abby” responded that if he finishes the project then people will be able to judge it. If it is a work in progress, he can simple say it’s not done yet. I get it. As we were working to get on budget, we removed the changes to the front portico and front door for now. The original goals were to renovate the kitchen and bathroom with a second bathroom and bedroom addition priority two. The details on the front of the house would have to wait. Marvin designed an amazing dormer for the front. Complete with rafter tails that are consistent with the new addition on the rest of the new roof. Now that it is complete, the front door details are not of the same language. 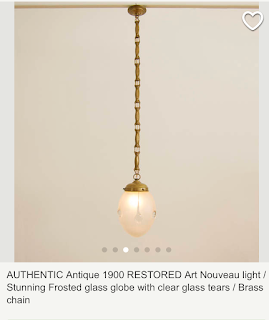 It does not have rafter details. Marvin is sick over it. I see it too. It needs to be changed…however, it just is not in the budget or part of the original goals. It will wait. Thank goodness for our level headed contractor. He reassured us that it can happen but not now. We need to keep our focus on the plans and the budget. So to anyone that picks up on that detail…we know…it’s a work in progress—don’t judge—it’s not finished yet. Q- How do we keep our wits about us? A- Last night I escaped by going to yoga and when they reminded us to set an intention, I visualized the possibilities of a completed successful project and expressed gratitude for this amazing opportunity to personalize my own home. Then, I met with a longtime friend for a drink and we talked about her amazing year….it has been that long since we sat down to talk to each other. Marvin….he de-stressed by going to a lecture in the morning and a retirement party in the evening. Just staying away from the space and thinking about something else was a nice treat. Eventually our project will be complete and we will no longer have to retrieve water from the basement. After the dust has settled, the end result should be a beautiful space we can enjoy for years to come. And, thanks to our many friends, our own professional knowledge and team of trusted colleagues, we are certain to be left with both a return on our dollars in the future and our sense. Client Empathy Continues--Architects finally doing what they do for others. Yup, the mantra!-- Follow the plans. Don’t make changes. 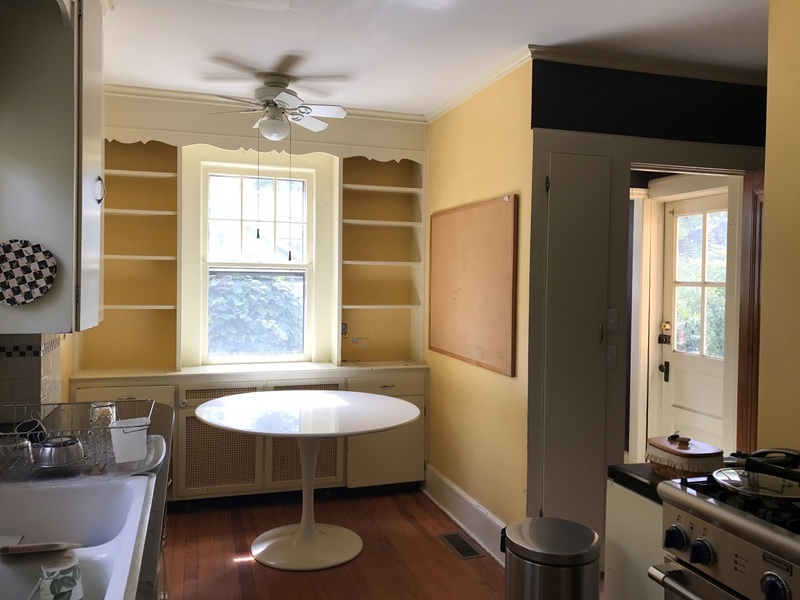 Edgy – With things just a little out of place, our powder room and about 1/3 of our kitchen are gone. The contents of our attic crowd the bedrooms, we feel a little disorganized, and our surroundings are cluttered. We repeatedly go to the old ironing-board-cabinet-turned-key-storage to get our keys only to remember that we emptied that a while ago. 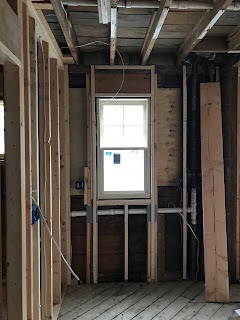 And we run into the house to use the powder room and remember, as we try the powder room door, that it no longer exists and we have to run upstairs to the hall bath. Fortunate --We feel fortunate to have the opportunity to improve our own home. Empathetic –We are in the business and we see how stressful this process can be on individuals. Even though it is often elective/self-imposed, having your normal routine and belongings out of place and living in a space that is tarped to keep out the elements takes a toll on even the hardiest. To think we still have clean running water, electricity and refrigeration and that we can go to work and school and get away from it for a while, our hearts go out to those that are in true need right now. 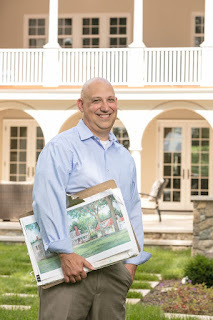 Yet as two architects, specialized in high end residential renovations and additions, with over 60 years of combined experience between us and over 450 built projects, we believe we are in control! And, like our clients, we are determined to beat the odds and have it all! We are living in our house while construction is taking place, and our trusted and experienced contractor will not give us a schedule other than "Don't worry...I will go fast." 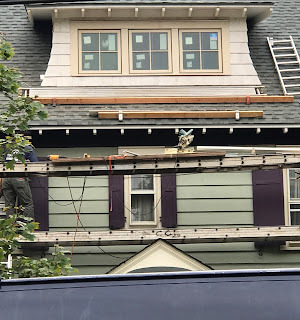 While we would never recommend this approach to our clients, and scoff at the idea of no schedule, because of our ten-year history of working with this contractor, we know he is very fast, as well as a man of his word. In an effort to keep our lives as normal as possible, the contractor has not had us pack up the kitchen yet. 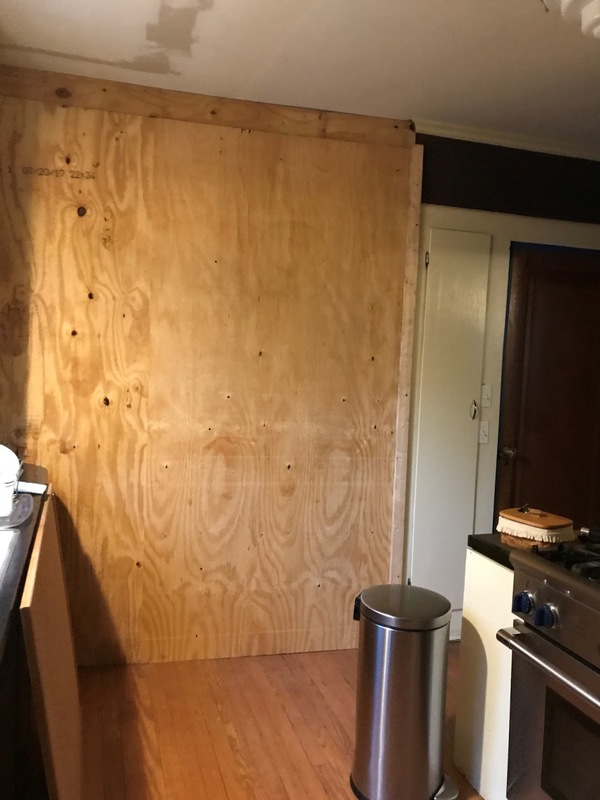 We offered to do a partial clearing of the back area right away, as there was a way to put up a temporary partition that would have given him more room to work and still leave us with a usable kitchen. He insisted it was not necessary and he would let us know when. This contractor moves fast. His experience, based on our collegial working relationship and our attentiveness to our clients' needs, is that we are responsive and that we move fast, too. Tuesday morning the contractor flagged us down as we were leaving for work in the morning. The day ahead for Marvin and me was scheduled full of meetings and commitments. Then I heard the words "tomorrow...it needs to be emptied out by tomorrow." Now, slightly overwhelmed with a task we had not scheduled for that day, Marvin and I told each other it would be fine. I offered to skip a board meeting but Marvin reminded me that a commitment is a commitment and we would divide and conquer --- a bottle of wine at the ready and the task before us beginning when I returned from the board meeting after 10 pm. Together we took turns stepping up on the chair and handing down each finding. From the kids' elementary school pottery projects, to Grandma's cream and sugar set, to the wedding gifts created by artist friends. The bulletin board with the stacked certificates, graduation tassels and tickets as memorabilia, friends' well-crafted party invitations and baby announcements we couldn't bear to part with...it has all been taken down. or completely by our design! And we reflected on how it's all worked out beautifully. Marvin Clawson, AIA, NCARB, ASID, CID together with Michael DiGeronimo, AIA, AICP, PP, were the designers on the award-winning project. 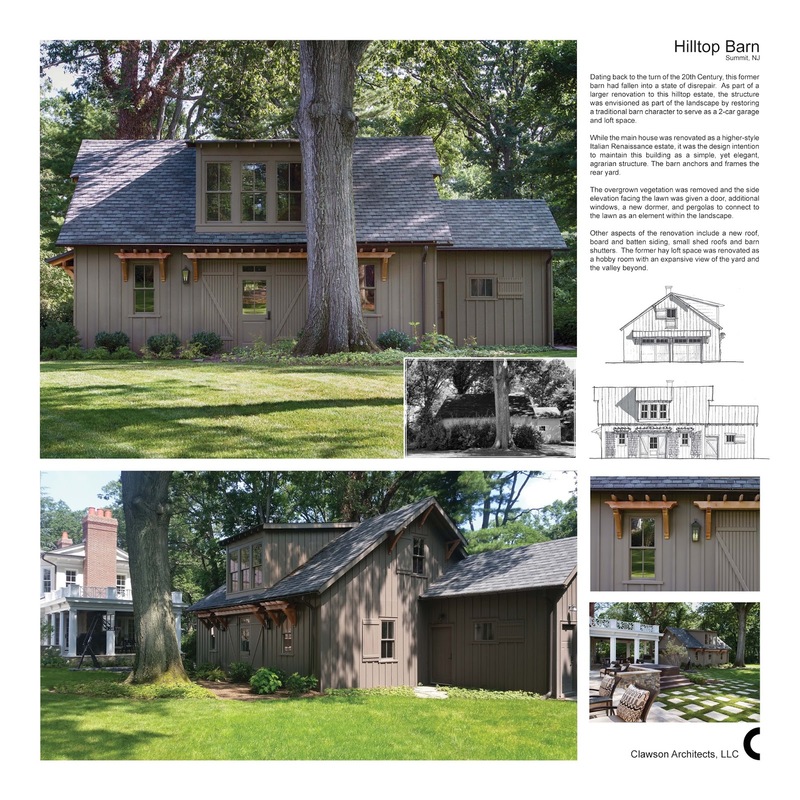 While the Clawson Team points out that the entire estate was a pleasure to design, they made the conscious decision to submit only the barn, noting the unique design challenge of having to address this necessary and utilitarian structure that was not only visible from the stately main house but very close in proximity as well. The solution was to make it an element within the landscape that anchors the property with a subtle presence. “So often, it is the over the top, remote houses set into a majestic landscape that take the prize and while they are certainly something to behold, it is rewarding to have peer recognition that recognizes the skill to create something that is humble and blends into the surroundings.” Said Clawson Firm Principal Architect and co-founder M. Rene Clawson, AIA, LEED AP, CID. Gratitude: So from Pete at KSI who ran out and did the foundation underpinning sketch, to Frank at DirectMillwork, LLC who went line by line confirming the order -- painted or stained, color of the hardware, screens, drip edges and jamb liners -- on something like 30 new windows, to Ali Como from Alexandria Como Designs for specifying and ordering the perfect couch in the perfect fabric and giving me encouragement and her nod of approval on the kitchen tile and colors I was leaning toward, to Adrienne at Short Hills Marble and Tile for her patience and professional guidance in helping me find the perfect tiles, colors and patterns for my bathrooms and kitchen back splash....THANK YOU. 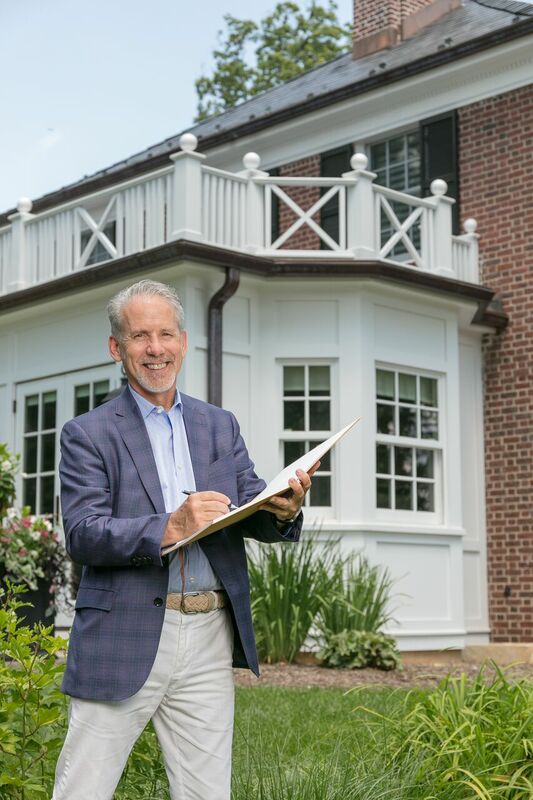 The strong, trusted relationships we have cultivated over the years with contractors, engineers, designers, subcontractors, craftsmen, suppliers -- each with their expertise -- make all the difference …be it our house or yours. When we purchased the house in 1997, my father's face went pale as he mustered up "its a great starter home." My mother, who is better at conceptualizing, said "you are going to love that porch!" Having just given birth to our second child, my mother stayed with us and helped us move in with a four-year-old and a new baby as Marvin started a new position as an Associate at a firm in NYC...and good friends pitched in to help us make it safe and livable. The next time my father visited...he was like wow....and yet all we had really done was clean, re-roof, refinish the floors, and paint inside and out. We have lived in this house and dreamed of the possibilities for 20 years now. Over the years we fixed what needed fixing and mused about the possibilities. We considered moving when our third child was born and made the choice to stay put. The kids were growing and their interests had us on the go. We had started Clawson Architects and, as they say, "the shoemaker's kids...." Other than the typical home maintenance, we did not do much. The answer is three. It has taken us quite a few years to get the plans together and we drew three different schemes before making the decision to go with the plans we filed with the building department. 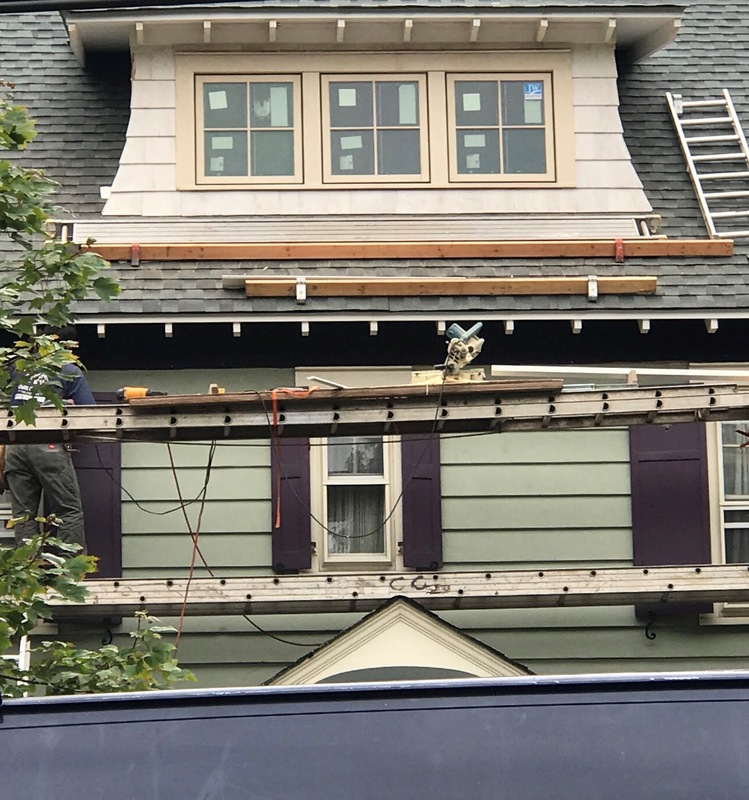 Like our clients "we just put it on the drawings" we were giving to the contractor for pricing to see if somehow, even though we knew it was going to cost more, that it would magically be within the budget we had set. We too had to "pull back." Stake holders....Marvin and Rene....we had to take responsibility for our dream and our budget. As you can imagine...both being architects and interior designers we came to an agreement and set some ground rules: we needed to keep our goals and needs in front of us and not stray. We heard each other out; I yielded to Marvin and gave him the last say on the outside decisions and he yielded to me giving me the final say on the inside decisions. I don't recall having to claim "my decision"...after 20 years of talking about it, we are on the same page. 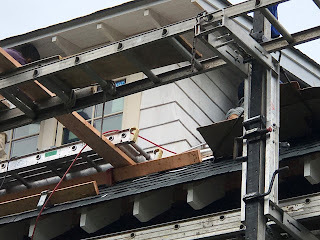 We will be living in the house while all this goes on, like many of our clients choose to do during their construction. So of course, like our clients, we want to stay ahead of schedule and under budget. It worries us. We know the truth. It is disruptive. It is noisy. It is dusty. People are going to be in our space. There will be challenges. We are anxious...about the choices we have made and of course the budget ...reminding ourselves, "If you want to stay on budget ...build what is on the plans. DON'T MAKE CHANGES!" So to my dad, who has passed away,...it was a great starter house and I regret that I will not get to walk you around to show you the new and improved forever house. And to my mom...your were right ...the porch has been awesome! We have made so many memories....we have shared many drinks and laughter with friends, family and neighbors. It is a porch where we have snuggled as a family to watch the thunderstorms and sipped coffee as we watched the hummingbirds in "Marvin's Garden." School projects, crafting 4th of July bike decorations, and creating watercolor paintings of the garden. First steps, first Popsicle, college applications and graduate school papers have happened here. It has been the favorite family meal spot April through October and where all the world problems are solved. Tomorrow it is going to be dismantled to make way for something new. The new plans do not include a screened porch. While we are all excited about the changes ....and all we will gain, we have all had our doubting moment. We are left to assure each other that it will all be fine. That the new space we are creating will be the place where we create new memories. This journey of our own has been a real life lesson in client empathy as we have watched many clients over the years stress as they pack and clear their belongings to make way for new construction...it's our turn. We have spent the last few weekends clearing the attic and basement...playing trash or treasure...the memories are overwhelming and yet WE CANNOT WAIT to host a holiday party in our newly renovated home with kitchen and family room addition! Stay tuned as the lessons in client empathy continue. Mary René Clawson AIA, CID, LEED AP NJLIC 13635, NYLIC 022942 Principal & Founder of Clawson Architects, Prior to starting her own firm in 2000, Ms. Clawson worked with the New York City architectural firm of Buttrick White & Burtis, where she gained varied experience working on Tower Records & Video retail stores, the renovation of Sherry-Netherland Hotel, renovation and restoration of Fordham University's University Chapel, and the Park East Day School. Currently, she is leading several projects including residential renovations and additions and a new home on a three acre site in Mountainside, New Jersey featuring green technologies. She is an Architect and member of the American Institute of Architects, a LEED® Accredited Professional with the U. S. Green Building Council and a Certified Interior Designer. 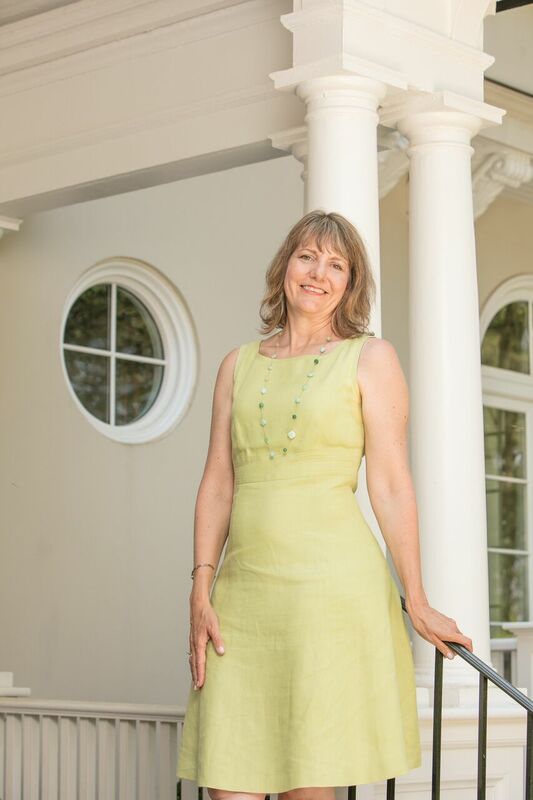 Ms. Clawson is currently the President of the Maplewood Chamber of Commerce, Advisor to the Junior Membership at Raritan Yacht Club and a Sustainer in the Junior League of the Oranges and Short Hills as well as a volunteer in her community and local school district. All contents Copyright (c) 2009 Mary Rene Clawson,. Simple theme. Powered by Blogger.